The designs of this cut pile rug collection are all heavily detailed and feature a vast array of colours. This rug will stand out and draw the eye in any room. They consist of fascinating, richly detailed patterns with colours that are wonderfully blended together. This range is all about style, creative design and delicate details that will catch your attention again and again. 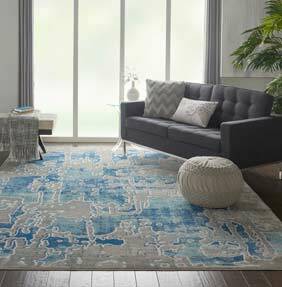 The vivid blues, eye-catching rusts and fashionable yellows in these rugs will complement your existing furnishings and add a splash of colour to any room in your home. Don’t assume that because we are able to offer you cheap rugs that they are not also excellent quality rugs. Radiant rugs are all machine woven from high quality materials, making them both hard-wearing, affordable and stylish.